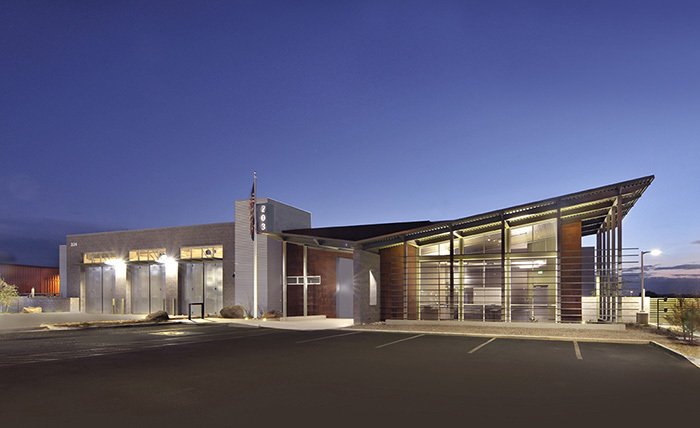 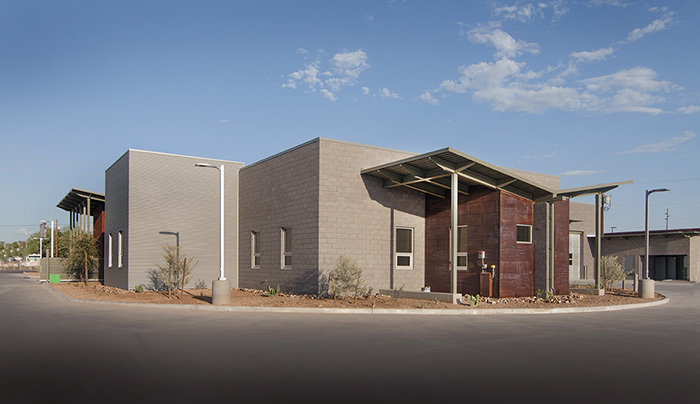 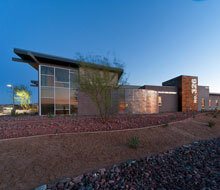 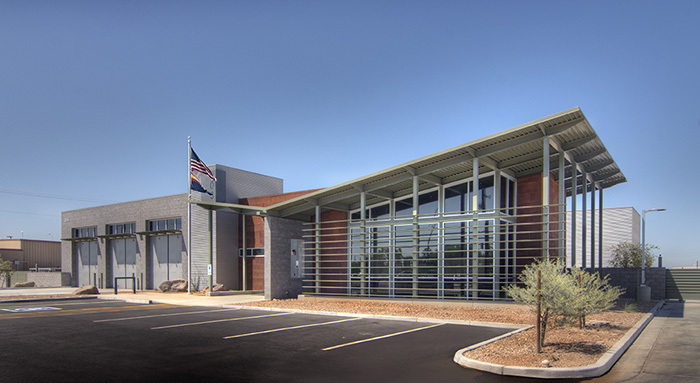 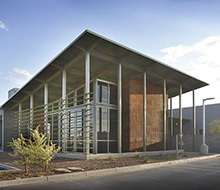 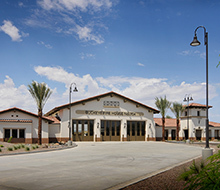 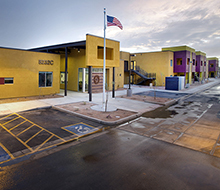 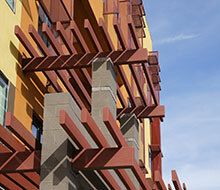 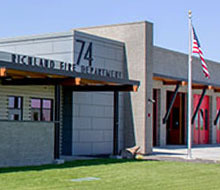 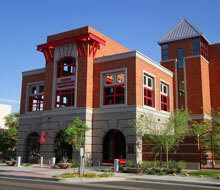 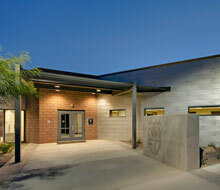 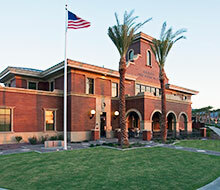 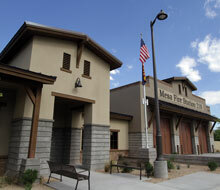 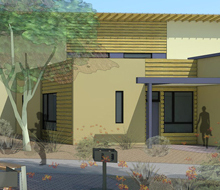 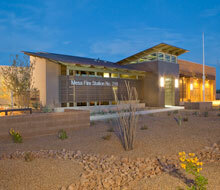 Mesa Fire Station 203 is a site adapt of the original Mesa Fire Stations 218 and 219 developed by Perlman Architects for the City of Mesa. 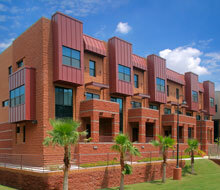 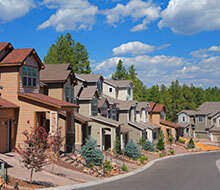 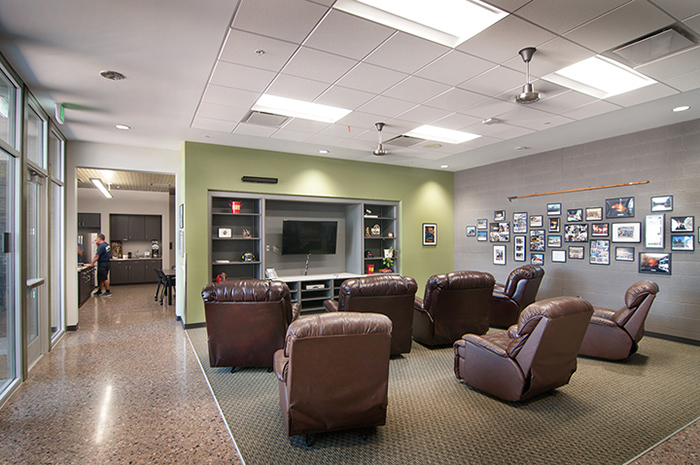 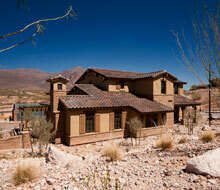 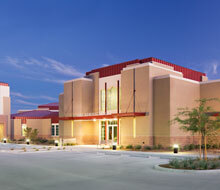 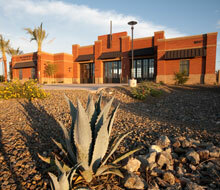 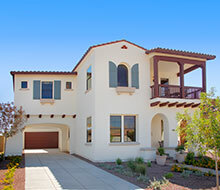 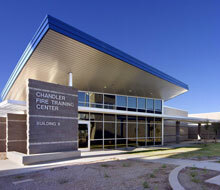 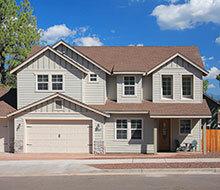 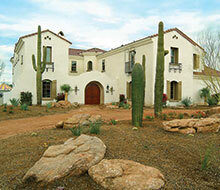 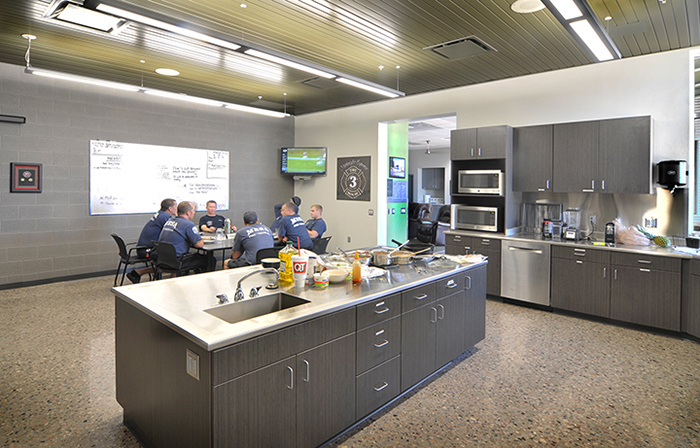 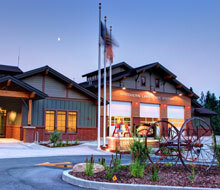 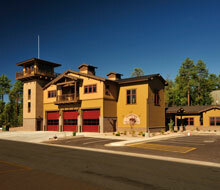 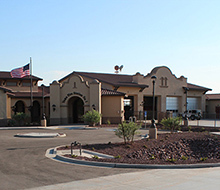 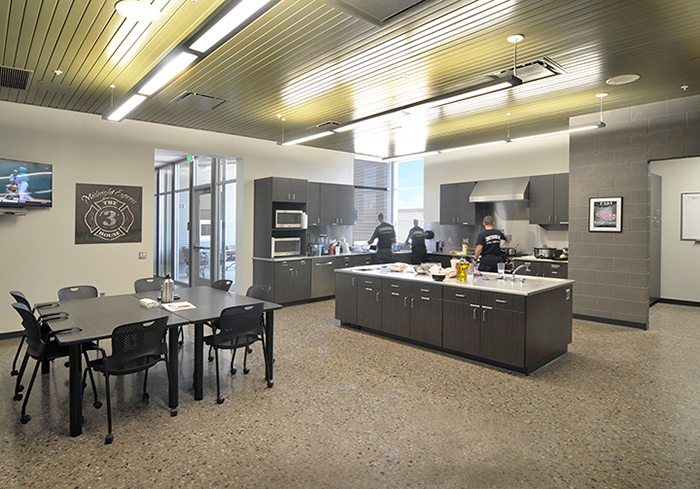 This 3-bay station facility accommodates 8 full-time fire fighters. 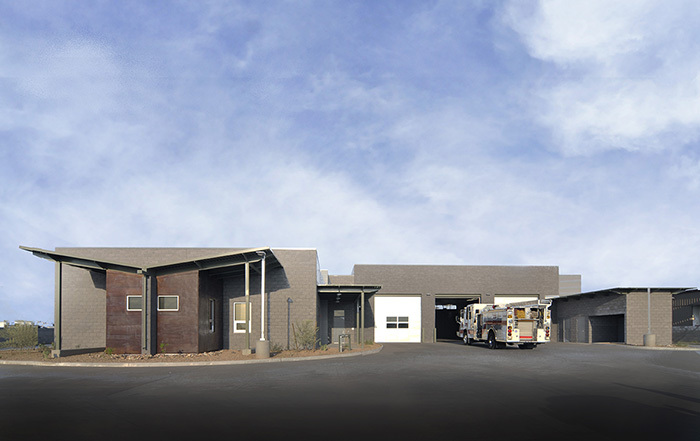 The station contains a fitness room for fire personnel, support areas for fire apparatus and a community room for the surrounding public to use. 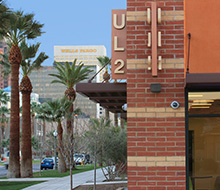 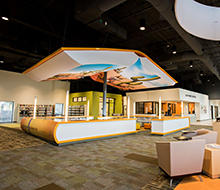 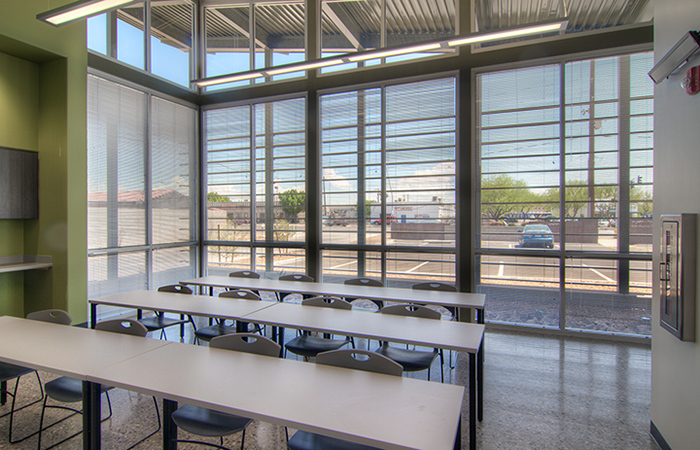 LEED sustainable concepts and principals were incorporated into this new building to decrease the department’s operational costs. 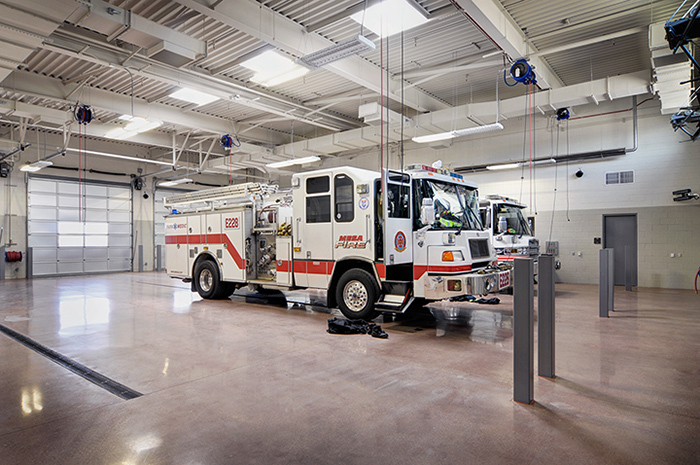 This design has become the department’s city wide prototype for future stations. 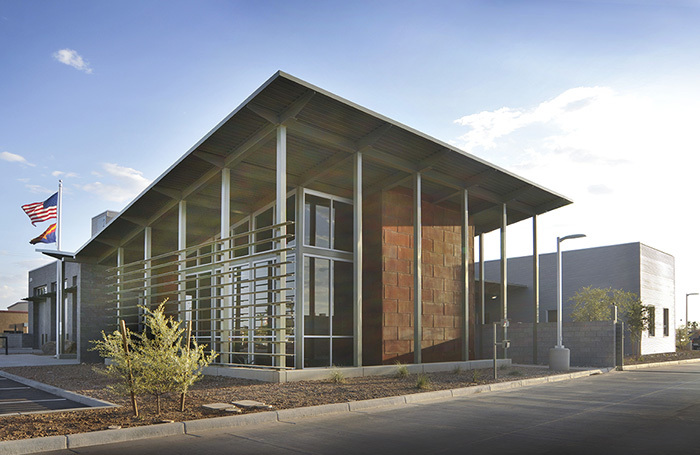 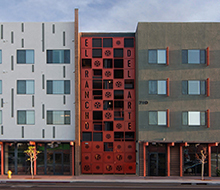 The main challenge on this project was to provide all of the same site features and amenities as the previous two prototypes, while add a fueling cell, covered parking, and addressing proximity to adjacent structures on a 50% smaller site.